We all know that lasers can propagate light to a very far distance. And we all know that fiber optics can transmit big data over a short period of time. Imagine these two combined minus the very long and expensive cables. This new system can be used to send rates of up to 2.1 gigabits per second. A small detector is used to detect the laser beam. The problem would be that as light propagates through space, it becomes wider which can be even wider than its detector. Engineers from Facebook`s Connectivity Lab have invented the new optical technology that can help laser beams provide fast Internet access. The engineers described in the journal Optical that they have used fluorescent materials, which makes it cheaper than fiber optics, that collect light from data-carrying laser beams. 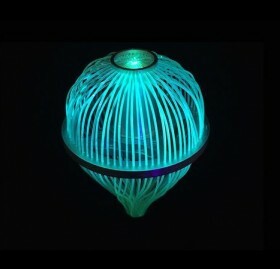 They described it as a series of plastic optical fibers, doped with organic dye molecules that absorb blue light and will re-emit it as green light. Want to know more about this awesome device? Follow this link!